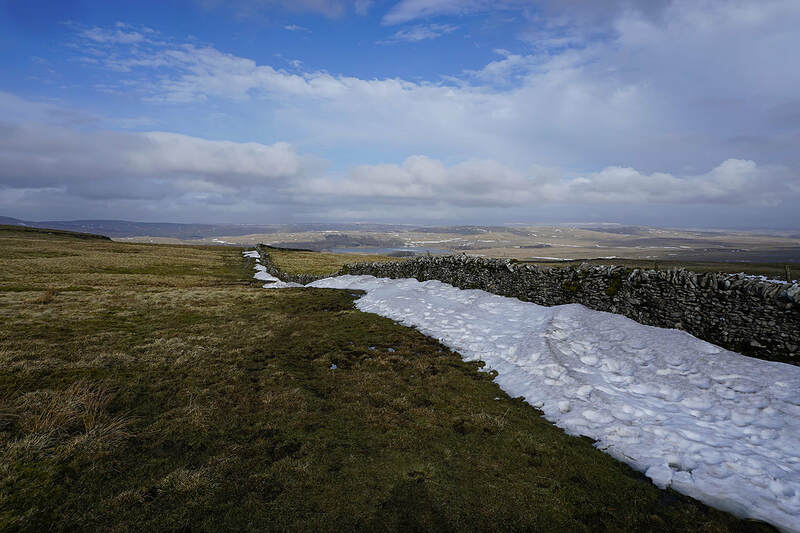 The "Beast from the East" has passed and it felt positively springlike today. 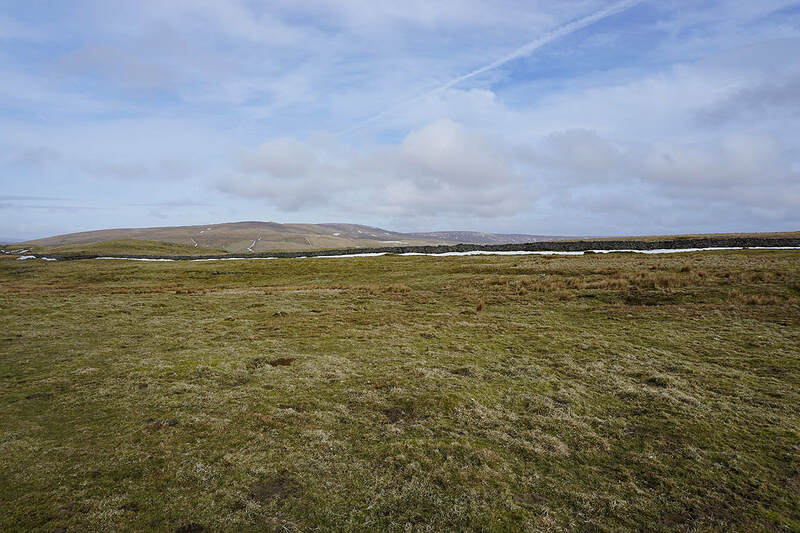 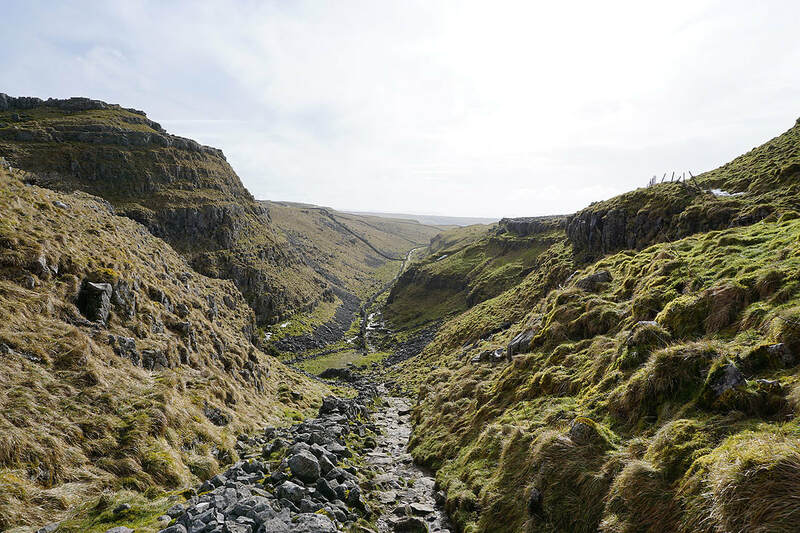 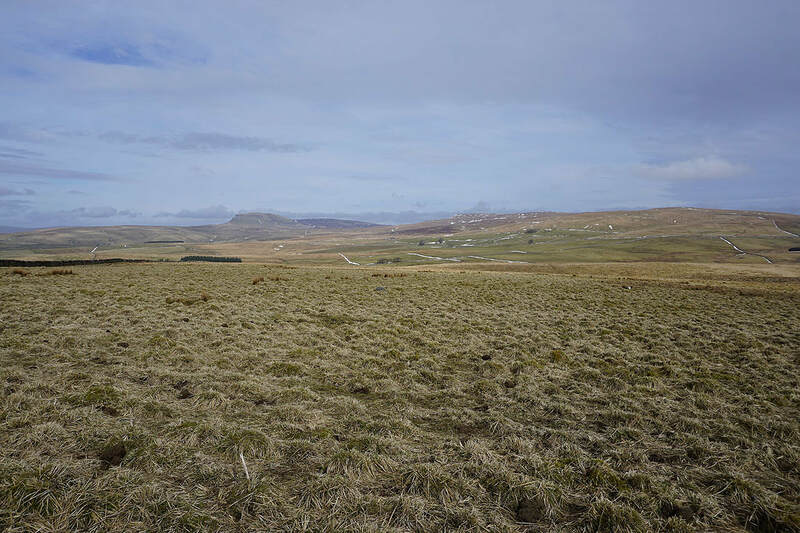 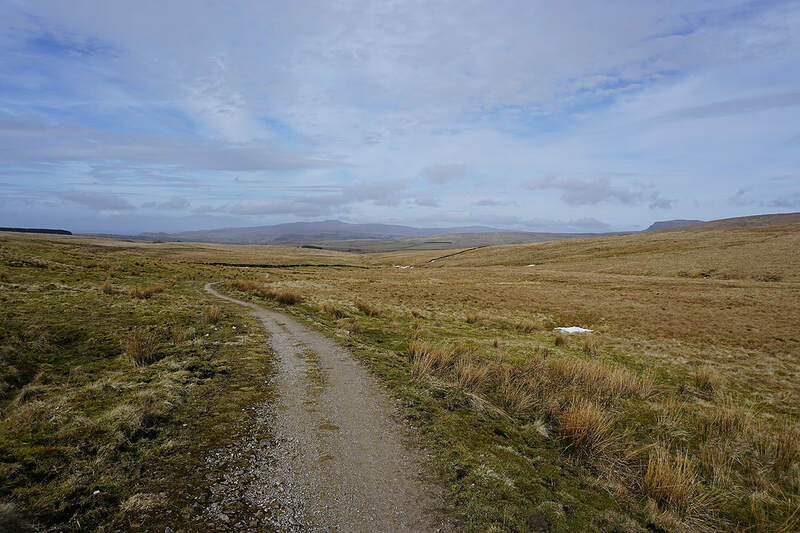 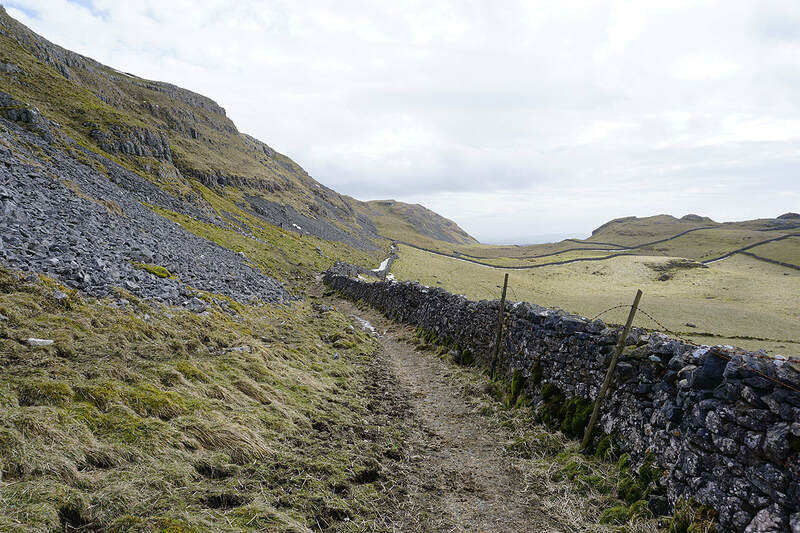 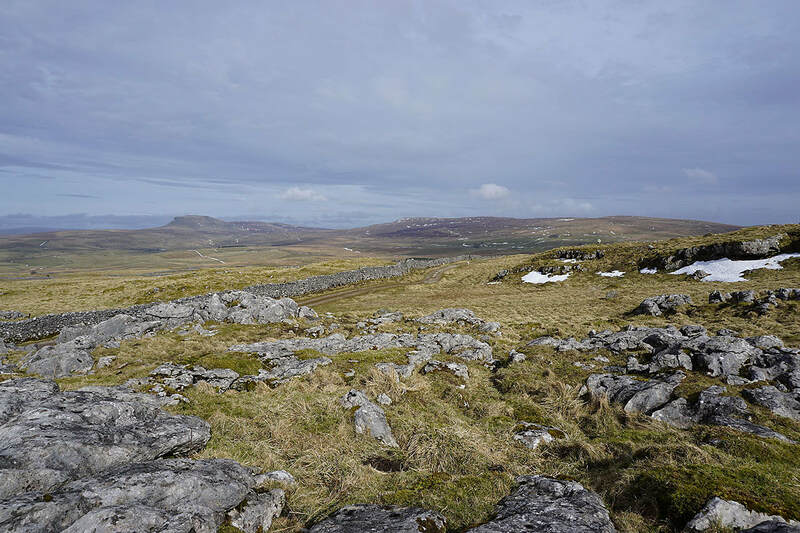 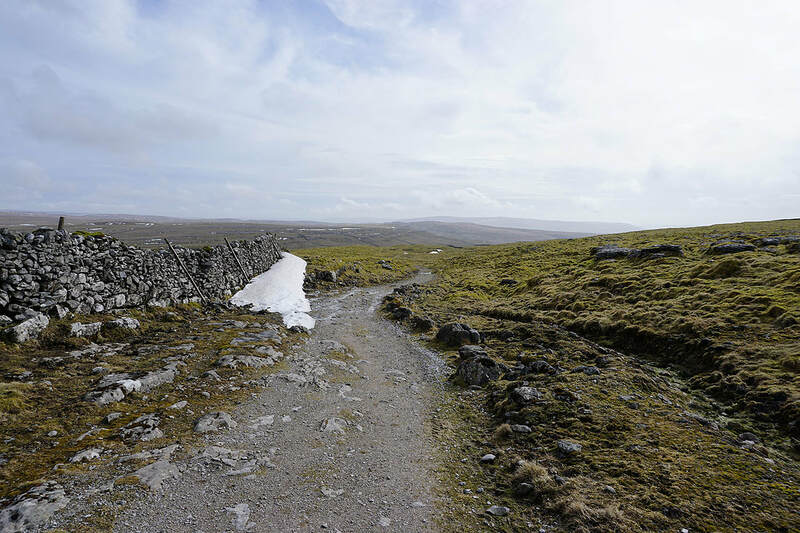 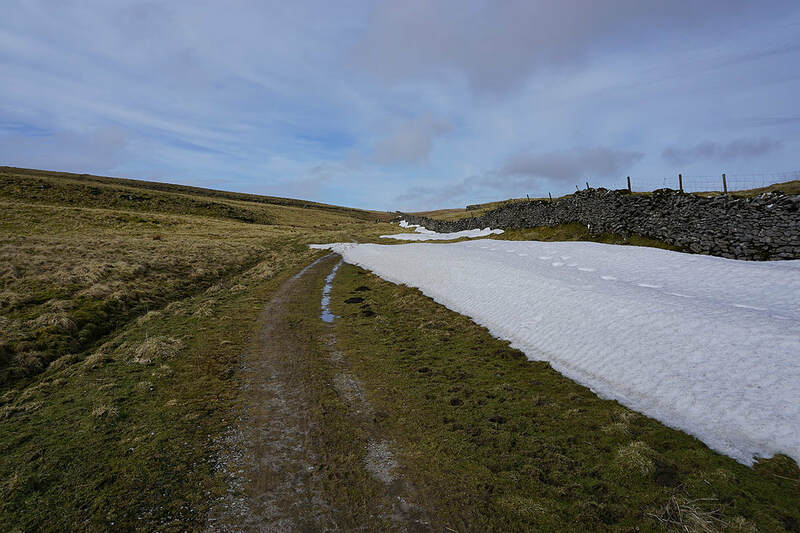 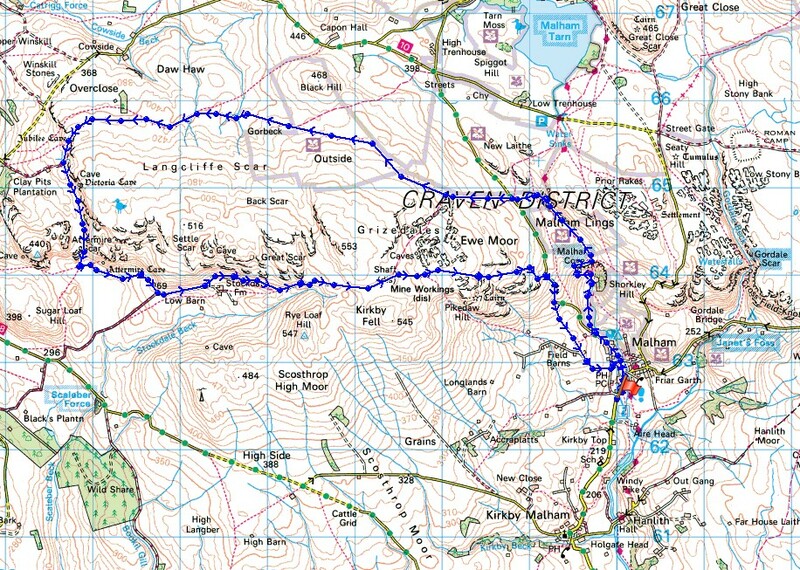 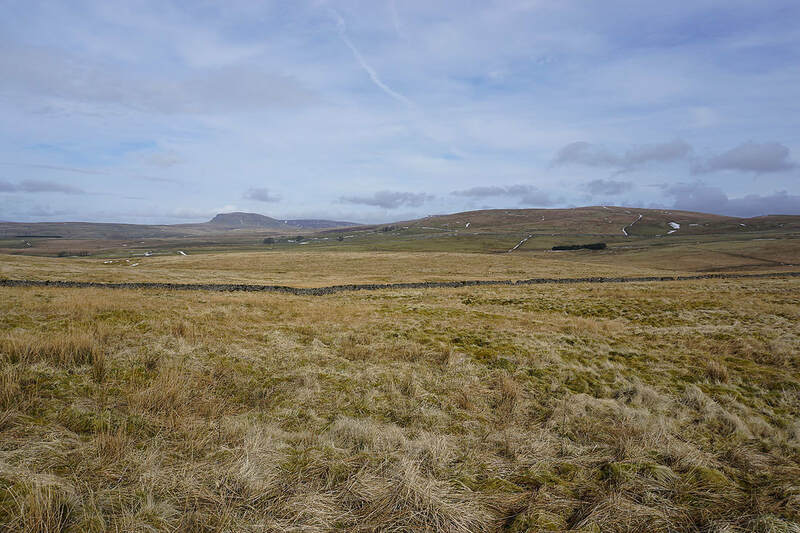 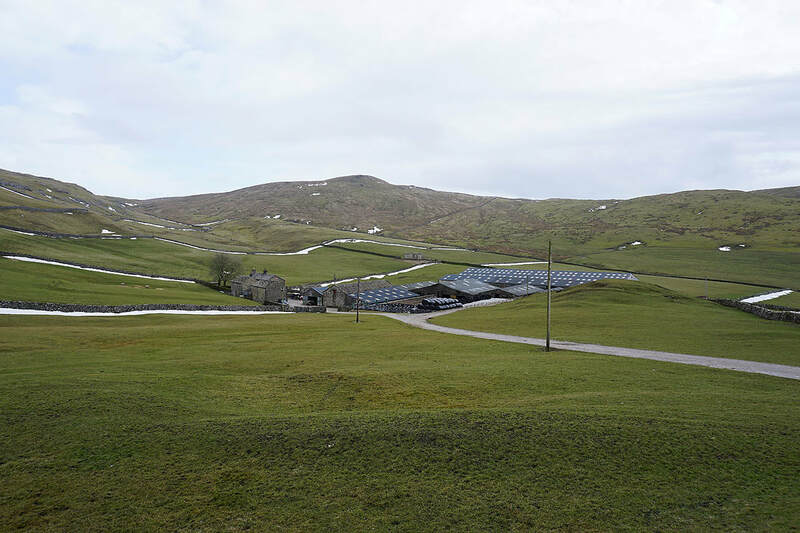 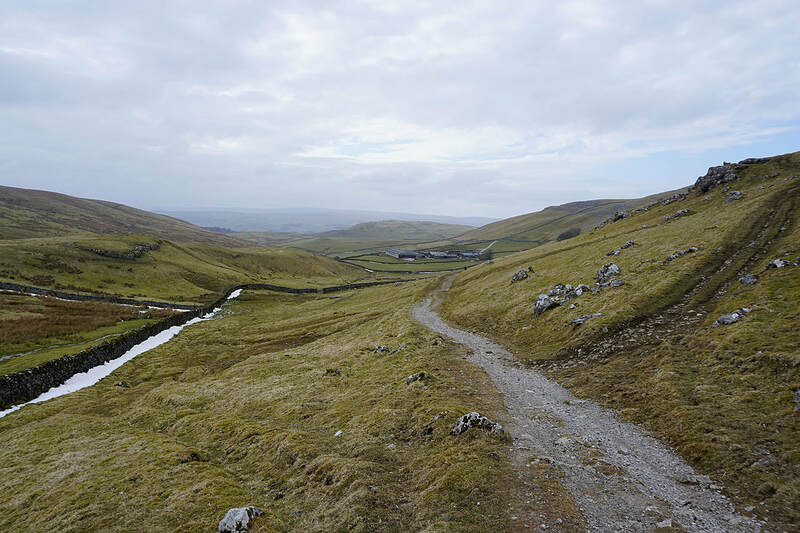 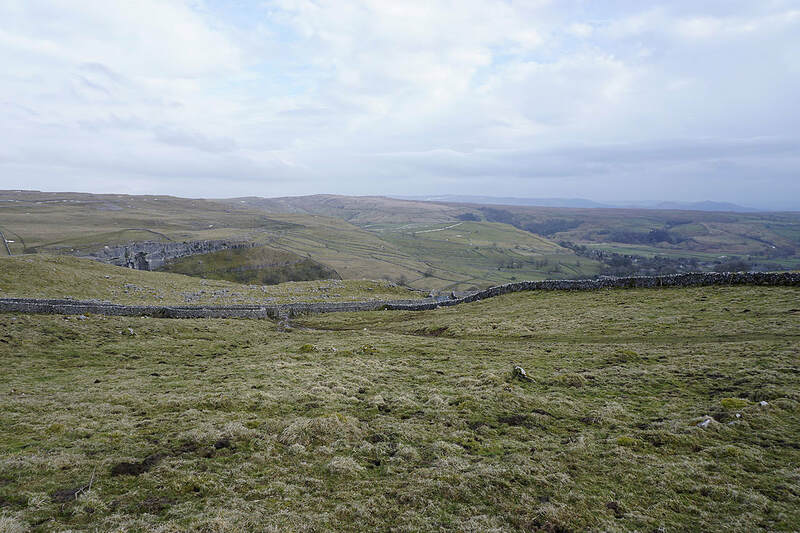 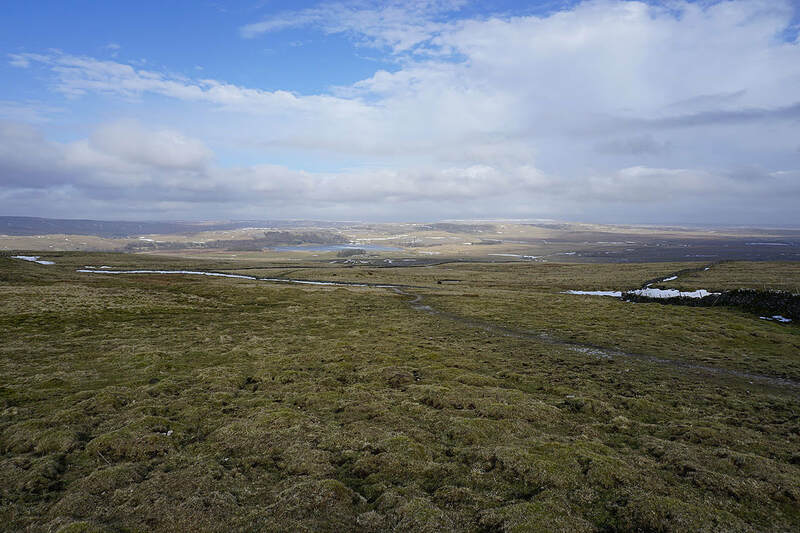 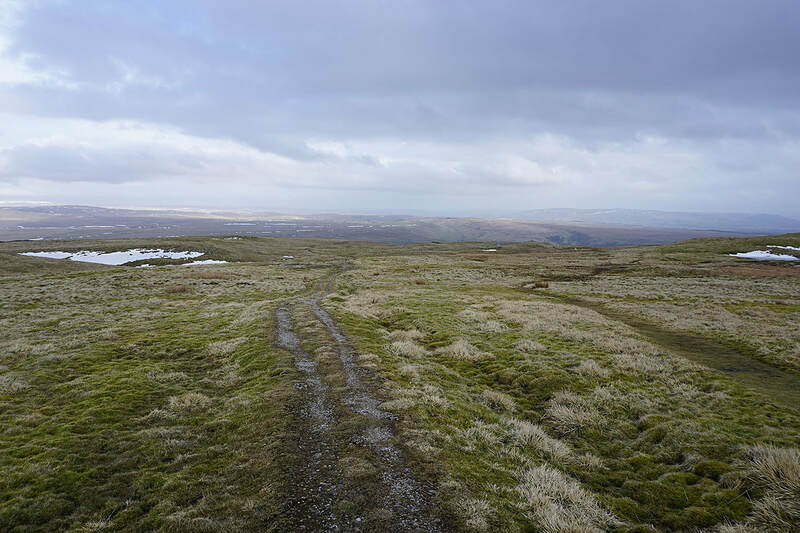 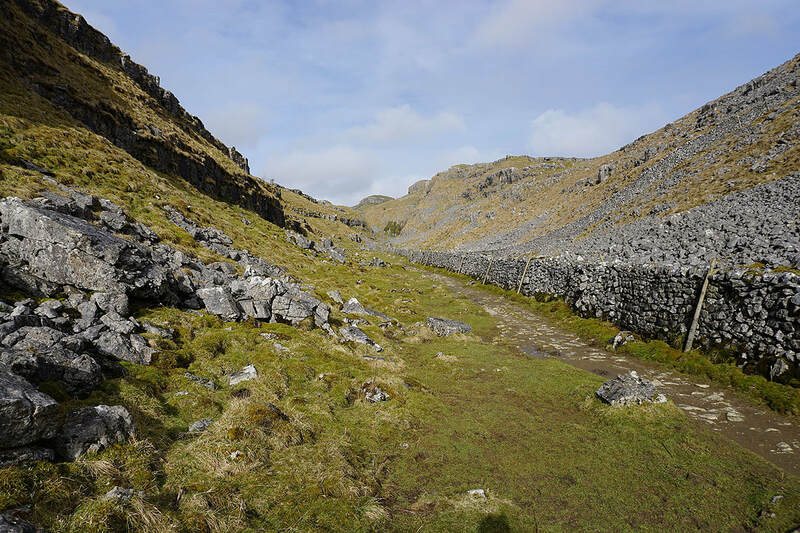 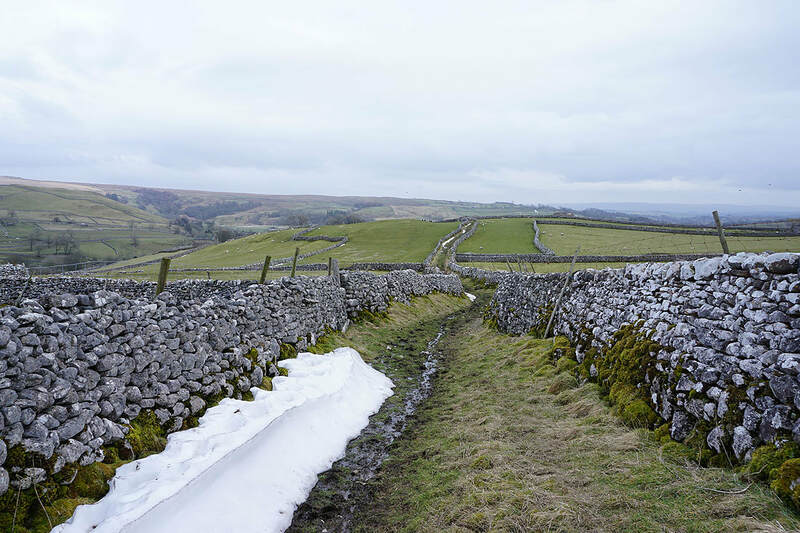 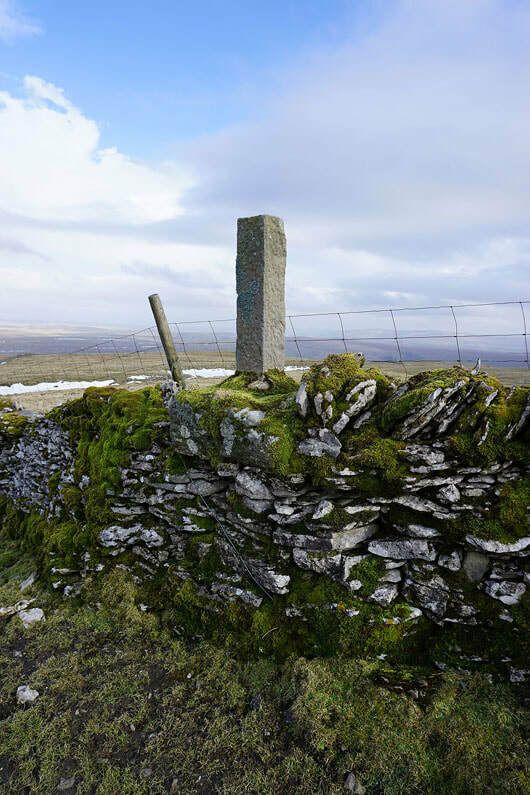 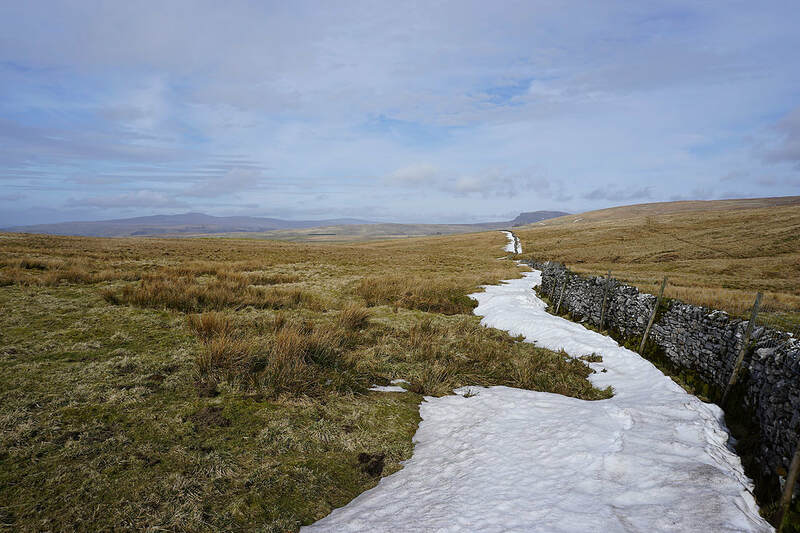 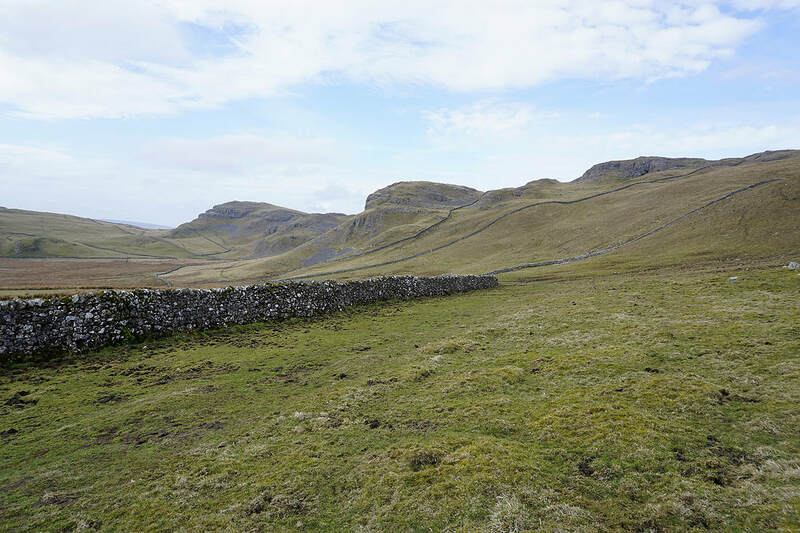 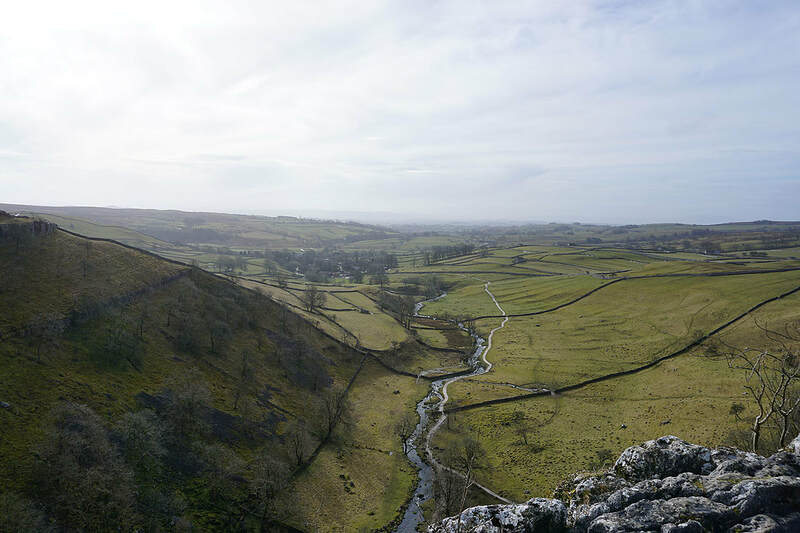 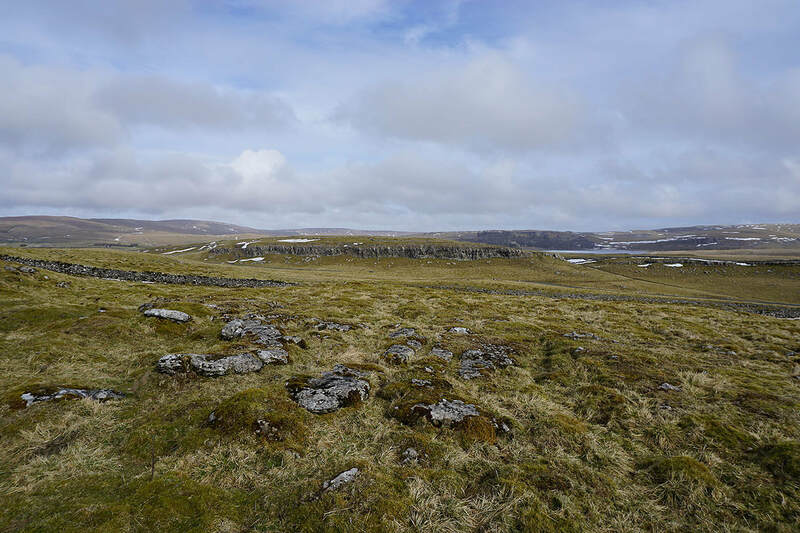 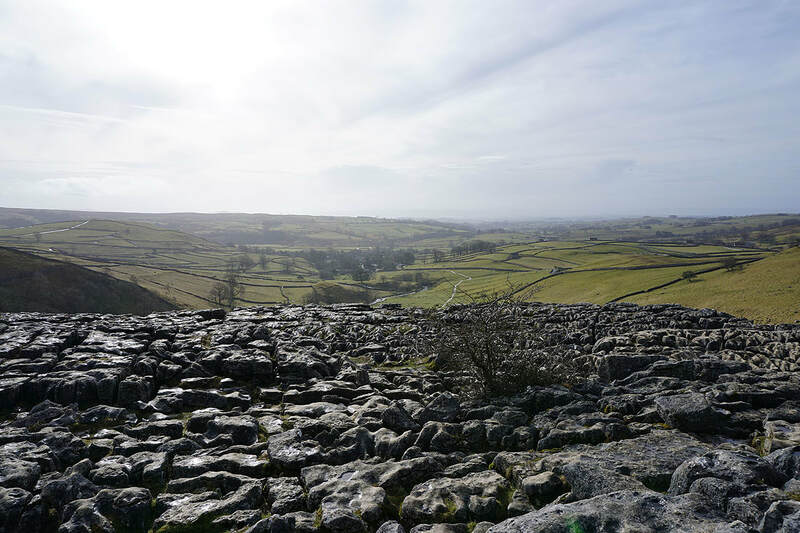 I decided to visit Malham and do a walk that heads west from the village and makes use of bridleways to cross the moorland to Ribblesdale before looping back to cross them again for a return to Malham. 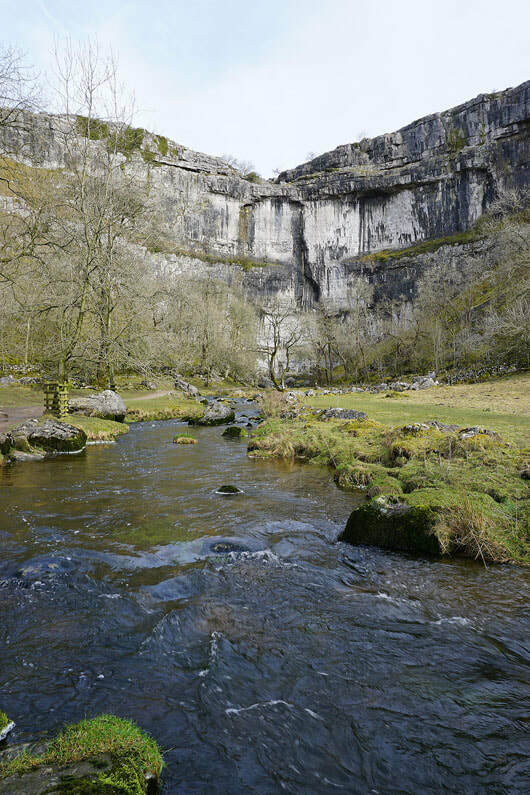 The weather was definitely at its best during the morning. 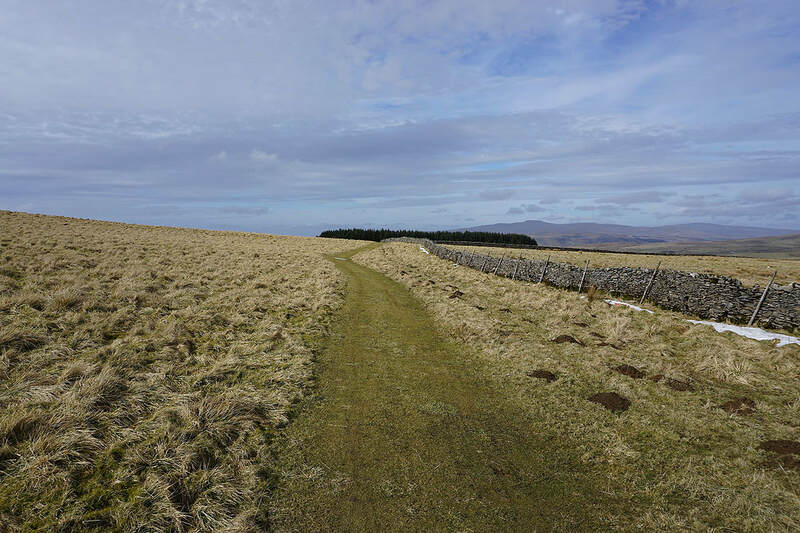 With sunny spells and a gentle breeze it felt mild. 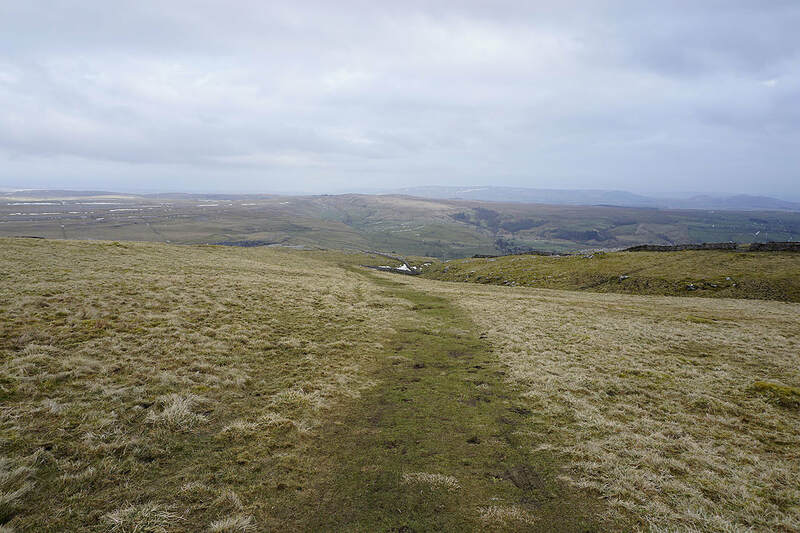 However, it tended to cloud over somewhat during the afternoon and with a stronger wind the mild feel disappeared. 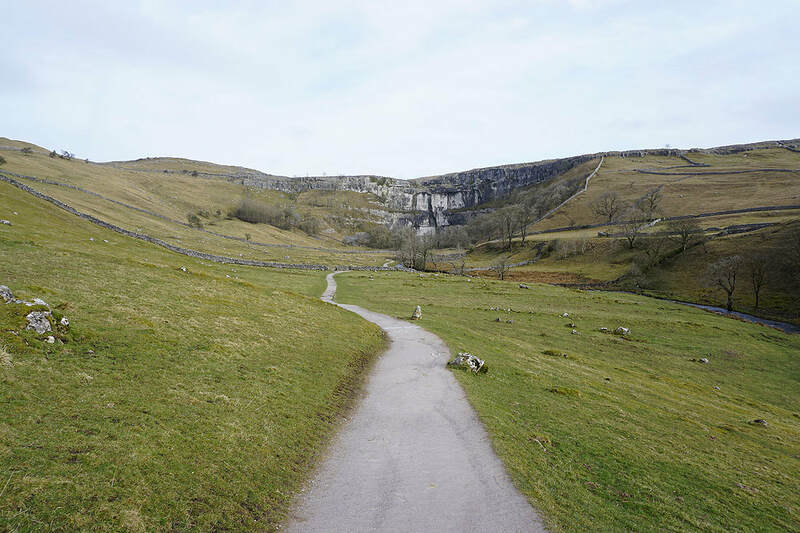 From Malham I followed the trail of the Pennine Way to Malham Cove, to its top and up the dry valley behind, where I left it for the path to Langscar Gate. 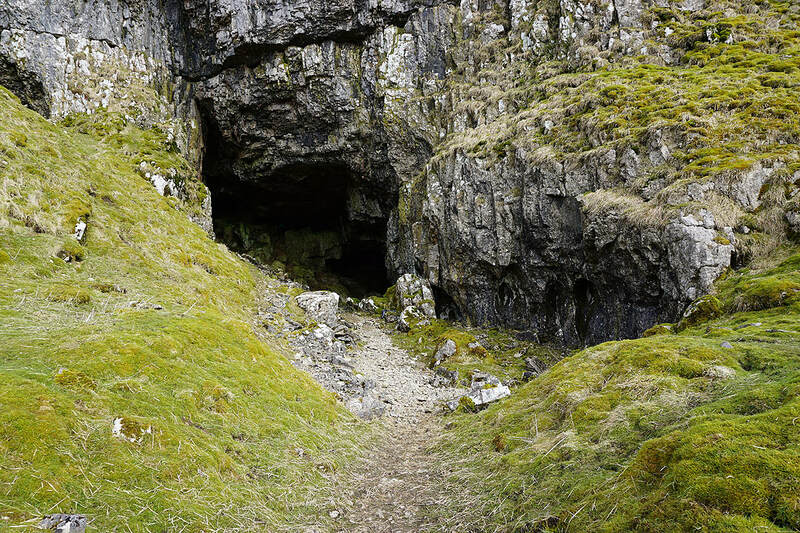 I then crossed the Cove Road and took the Pennine Bridleway west across the moorland towards Ribblesdale until I reached Jubilee Cave. 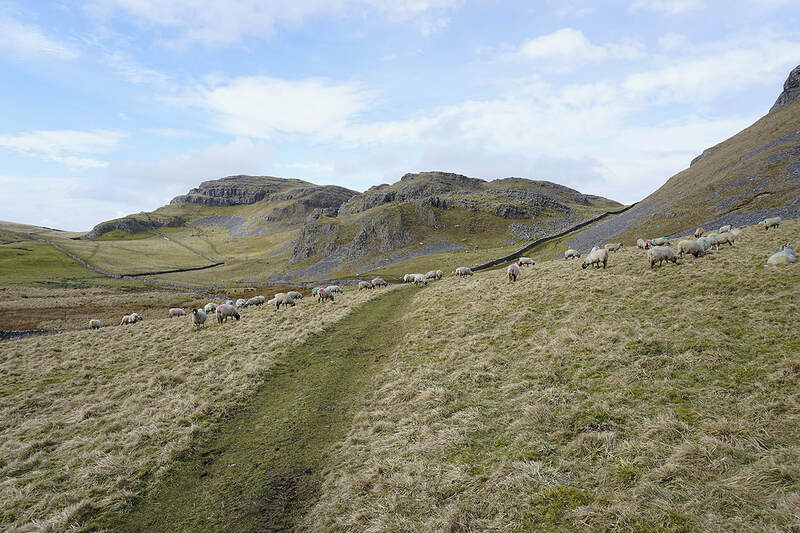 After having lunch here I followed the path south past Victoria Cave and Attermire Scar and then east into Stockdale, where I picked up the Pennine Bridleway to head past Stockdale Farm to reach the top of Stockdale. 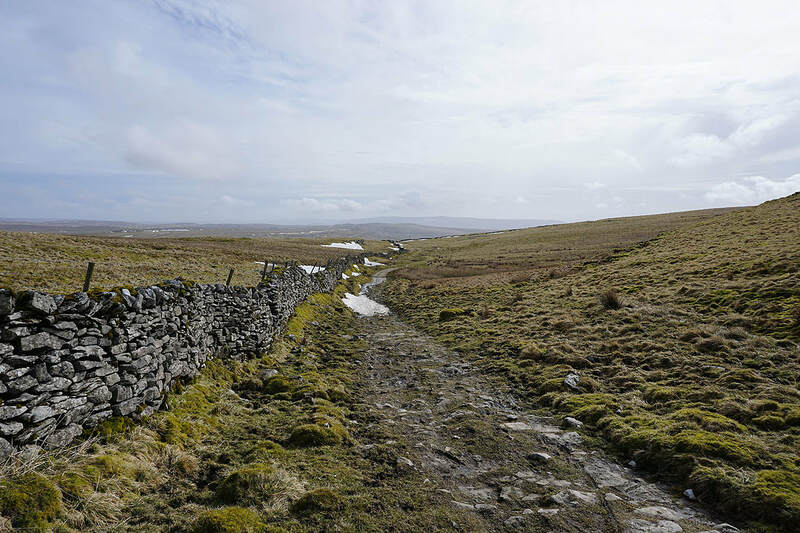 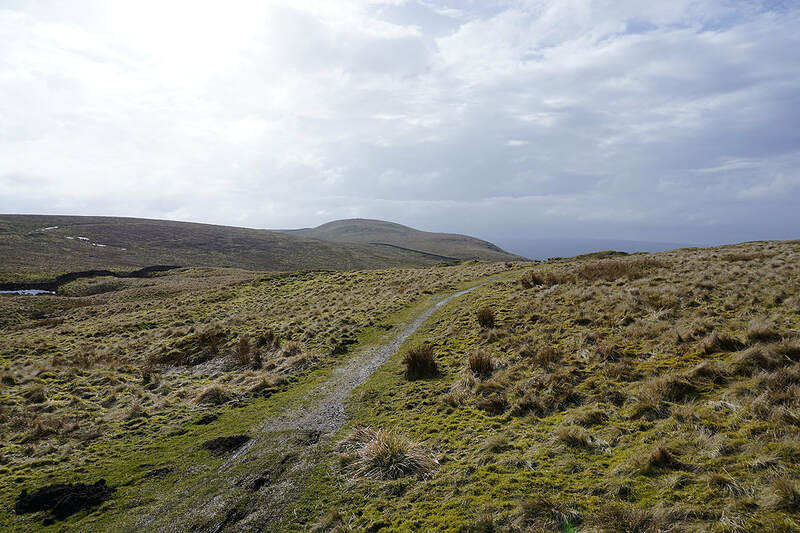 I kept on the Pennine Bridleway for a short detour to Nappa Cross before returning to the bridleway east through Fair Sleets Gate down to Cove Road. 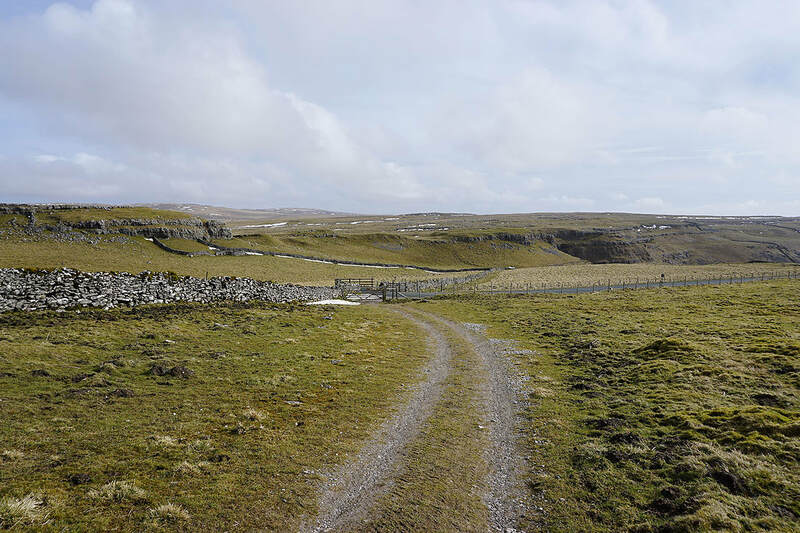 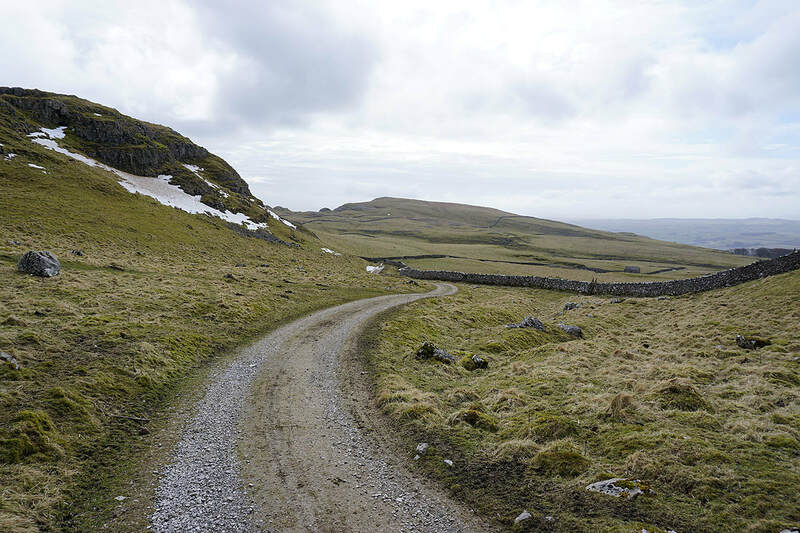 After a short walk down Cove Road I reached the track of Long Lane which took me back to Malham. 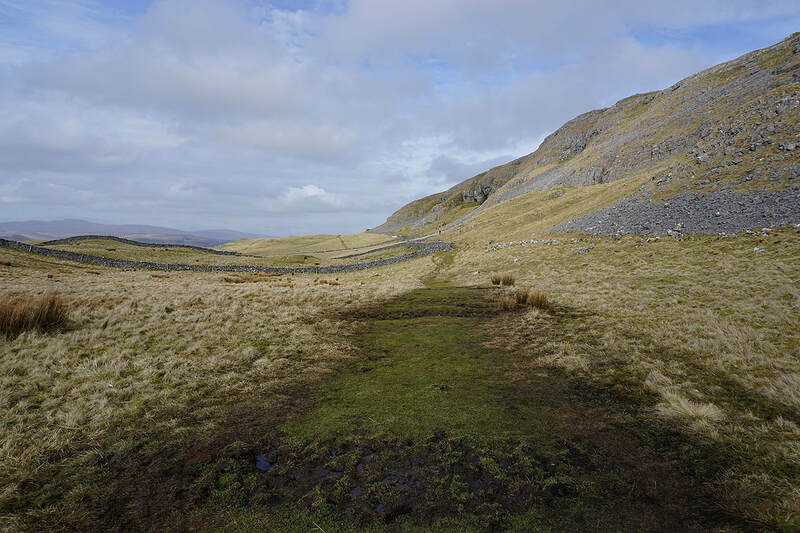 On the Pennine Way to Malham Cove..
A short time later and I cross the limestone pavement at the top of the cove.. 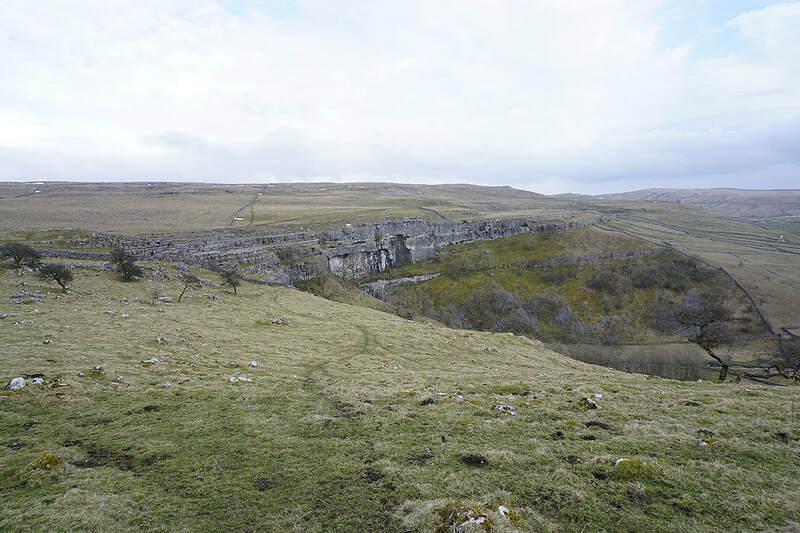 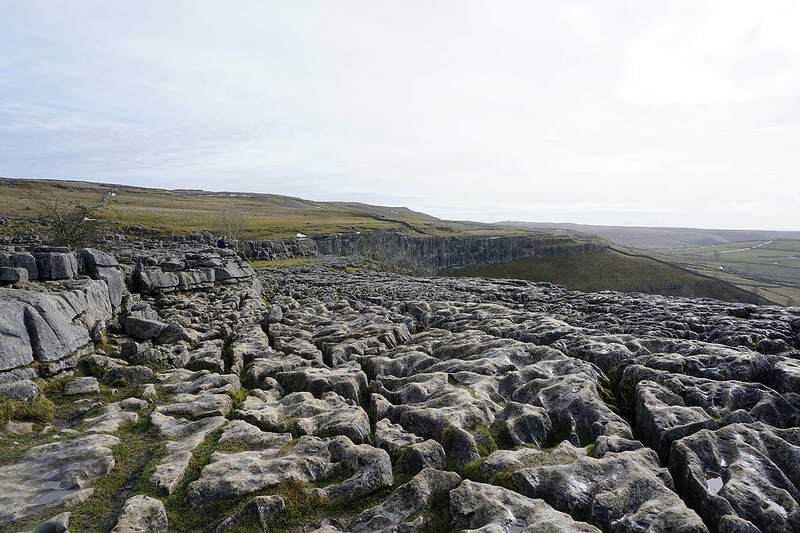 The patches of limestone pavement above Jubilee Cave was an ideal spot to stop and have lunch. 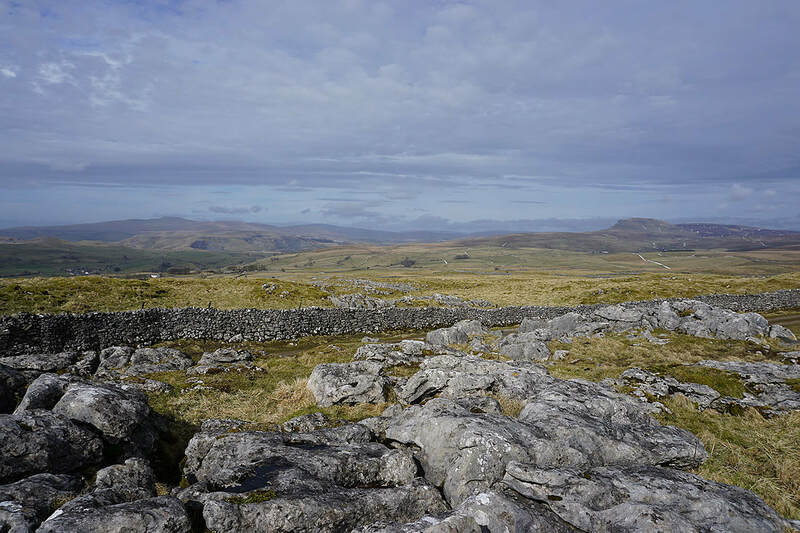 I had a great view across Ribblesdale to enjoy..
On the path to Attermire Scar..
Warrendale Knotts from the path up Stockdale.. 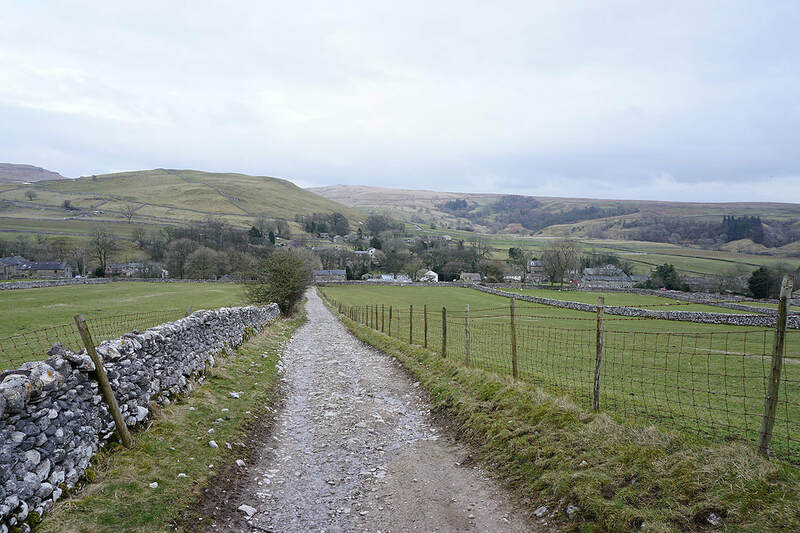 I've kept on the Pennine Bridleway for a short detour north..
On Long Lane back to Malham..